A senior Iranian diplomat has blasted Canada for proposing a “politically-motivated” UN resolution on the situation of human rights in Iran, while Ottawa, itself, has long been involved in a broad range of human rights abuses at home and elsewhere. 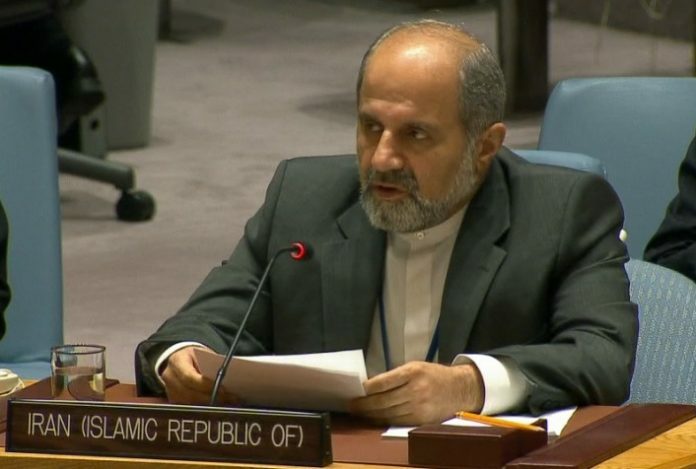 Iran’s Deputy Permanent Representative to the UN Es’haq Al-e Habib was reacting to a Canada-drafted human rights resolution, which was adopted Tuesday against Iran by the Third Committee of UN General Assembly with 83 votes in favor, 30 against and 68 abstentions. “We regret that few unscrupulous Governments continue challenging integrity and credibility of the United Nations through pushing for this politically-motivated resolution that only underscores how selective, irrelevant and subjective UN decisions could sometimes become,” he added. He pointed to some examples of Canada’s non-compliance by its international human rights obligations, including Ottawa’s discriminatory policies against indigenous people and its support for the Israeli regime. “Ottawa along with very few others in the whole world have consistently and unconditionally supported Israel despite all the gross, abhorrent and systematic violations of human rights committed by that regime. This level of hypocrisy and double standard is mind-boggling,” the Iranian envoy pointed out. “Canada should have realized thus far that such a pointless and futile exercise is a disservice to the human rights cause, a harmful measure against the UN human rights mechanisms and a disrespect to the wisdom of the people who closely monitor Canada’s selective stances on human rights situations,” the Iranian envoy said. During the session, Al-e Habib also lashed out at Saudi Arabia for supporting the Canada-drafted resolution against Iran, while Riyadh itself has been blatantly violating human rights both at home and in different parts of the world. “Spending billions of dollars buying beautiful arms and Western public relation corporations cannot hide the real face of Saudi, whose money also fuels sectarianism in the Persian Gulf, Middle East and the world,” he said. Al-e Habib went on to enumerate some instances of rights violations by Saudi Arabia, including Riyadh’s crackdown on all forms of dissent across the country, particularly in the eastern city of Awamiyah, mainly populated by minority Shia Muslims. He highlighted the slavery of hundreds of thousands of female migrant workers inside Saudi Arabia, the systemic violation of human rights of minorities there. The Iranian official also drew attention to the Saudi massacre of thousands of Yemeni civilians during its military campaign against the impoverished country as well as the number of the kingdom’s nationals, who have joined Takfiri terror outfits such as al-Qaeda, Daesh and al-Nusra Front.